‘Tis the Season! Happy Holidays and Merry Christmas! In city business this week we had all unanimous votes at the City Council meeting and made good progress at a strategic planning session. This week we heard a full analysis from new Sheriff’s Captain John Maryon about law enforcement staffing needs in Encinitas, as well as a comparison with a similar city. He requested that the City Council allocate an additional $100,000 a year to an overtime fund, instead of funding a new sheriff’s deputy at an ongoing cost of $237,000 a year. It costs about $1,000 to have two deputies work an overtime shift of eight hours. So this over-time fund gives him flexibility, for instance, to add six additional deputies downtown on a busy holiday weekend. I was happy to see that after a full analysis of the deputy beats, number and type of calls for the service, and crime statistics, he presented a proposal that he believed was the best solution for Encinitas. We also heard very positive comments about the new Captain’s approach from the citizens’ group concerned about intoxication issues and homelessness problems downtown. But it’s enlightening to have this information, and I’m grateful he took the time to study it. I’m hopeful that the additional overtime and the Captain’s approach to our city’s issues will help substantively address the concerns with the downtown that we’ve been discussing for many months. We approved emergency work costing $60,000 to shore up Highway 101 just south of Chesterfield Drive. 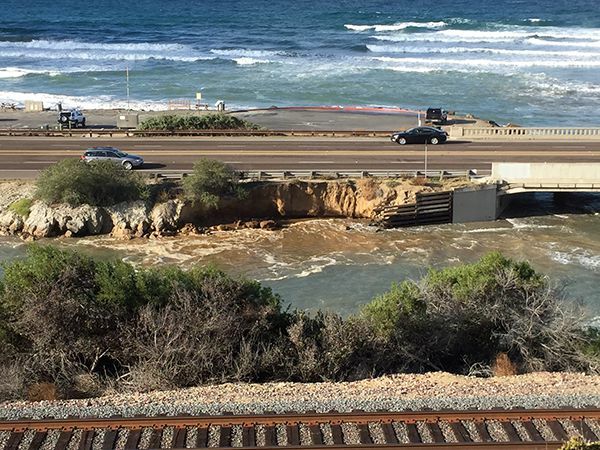 The ocean tides have undermined the stability of the road. The city is working as quickly as possible given the recent weather to get the work completed and the east lane re-opened. I am thrilled that the City Council unanimously endorsed mediation to more efficiently resolve disputes between Encinitas residents. Council Member Tony Kranz and I spent nearly a year in public meetings, discussions with the planning department and the city attorney before presenting our proposal. Here’s how it will work. For $50, two neighbors in conflict over things like “spite hedges” (growing plants to obstruct a neighbor’s view), dogs barking, boundary disputes and noise complaints, can sit down together and attempt to mediate their differences. Additionally, developers can opt for mediation to find a mutually agreeable solution if a resident appeals an approved development to the City Council for review. Mediation programs have proven to be great conflict solvers and will save the city time and money. The mediation format is less formal than traditional methods, and people buy in to the resolution when they are part of creating the solution. There’s room for creativity that isn’t possible in the win-lose process of a city appeal. Mediation also results in less animosity toward neighbors, city staff and government in general when residents can work out a solution without having to get involved in the messy, public, code-enforcement process. In the last three years, the City Council has heard 18 appeals. 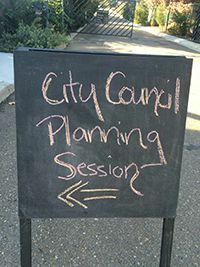 Preparing for one is very time consuming for all involved – city staff, community members, professionals hired to present the appeal, and the City Council itself. It’s important that our city government evolve. I believe this a major process improvement and I’m grateful that all our council members supported it. Congratulations to new Deputy Mayor Lisa Shaffer! Every year, the Mayor nominates the Deputy Mayor and the council approves. It’s a post that typically rotates, and the duties involve filling in during the Mayor’s absence, serving as president of the San Dieguito Water District, and performing other ceremonial functions, such as speaking on behalf of the city. I really enjoyed being the Deputy Mayor for the last year and working with Mayor Kristin Gaspar on a number of different projects. 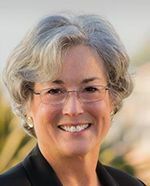 New City Manager Karen Brust has spent her first three months in Encinitas getting her arms around the city’s many projects, the staffing requirements and the finances to accomplish them. This week she presented us with a series of project papers at our second strategic planning session, and updated us on what she expects to accomplish with the staff over the next 18 months. I felt very positively about this session. She’s not asking us for additional staff or money, and it appears we’ll make progress on all our major projects, including Leucadia Streetscape (continuous sidewalks, tree canopy, landscaping and roundabouts along Highway 101 in Leucadia), Beacon’s Beach access and bluff stabilization, a rail crossing at Montgomery Ave., rail corridor master planning, updating zoning standards and affordable housing policies in conjunction with passing a Housing Element, implementing and updating the climate action plan, and proceeding with the coastline restoration project to ensure sandy beaches, among others. We applaud the hard work required by Karen and the city staff to wrestle with a large number of projects, predict the staff time required and come up with workable plans. Happy holidays to you and your family! I feel tremendous gratitude for our beautiful city and the high level of quality engagement that residents offer us in making our decisions. 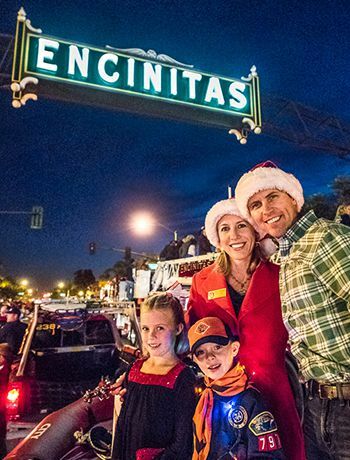 Encinitas is a truly great city. P.S. Today, Sunday, December 13, at 5 p.m. please consider joining fellow community members for a National Gun Violence Prevention Vigil at the Unitarian Universalist Fellowship in Solana Beach. My family and I attend this church, and along with others, I’ll be saying a few words about how to effect policy change to reduce the number of gun deaths in our country.